To materialize what will make others happy into form. Each staff member has pride as a craftsman. NANAMI is always marketing users' need and produce products which satisfy users. That is NANAMI's policy and always provide the best products in the market. 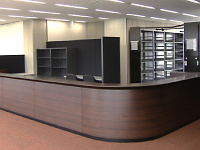 NANAMI has specialized in using materials of plastic, metal, FRP, fabric and wood. NANAMI has been creating products utilizing best material for products with using creative ideas and distinguished design abilities. NANAMI produce products not only volume orders but also a single or custom products. Making children's surroundings more enjoyable and more comfortable. 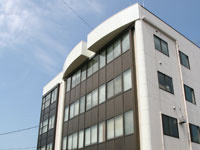 NANAMI has produced large sized equipment for preschools since 1970. Partitions and shelves for preschool classes and large sized playground equipment; slides, swimming pools and sandboxes. 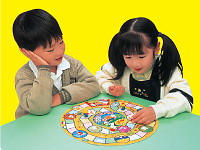 NANAMI has also produced equipments and products which help children's understanding at classes. NANAMI has designed all kinds of supporting tools and text for teachers and children's need in preschool. 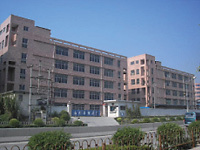 We have developed our own factories in China. NANAMI has 7 plants in Japan and 2 plants in China. Plants in China mainly produce volume products for the market competitiveness. Custom products and small volume products are fabricated mainly at plants in Japan for utilizing their flexibility of the production. 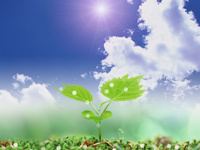 At plants in Japan, new raw materials have been adopted all the time. To comfort body, to protect environment. NANAMI believes in responsible business practices to ensure we will continuously to make effort environment healthy. NANAMI's sustainable design and utilizing non toxic glue, stain and materials are the core of company's policy to pursue being a better company in the industry. NANAMI also use recycled materials the great portion of the products line. From office furniture to made-to-order items. We have sufficient knowledge of planning and skills. Applying the skills and know-how cultivating in the field of education, NANAMI can fully answer the requests to produce not only office furniture but also equipment necessary in hospitals, golf course clubhouses, banks, etc.